Half of my family is Lebanese so my mom would always make fatoosh for the home bouts. I was looking for a derby name and liked the idea of something to do with food, so an old league mate helped come up with that one. Outside of derby I am pursuing a degree in the environmental sciences (which I love) while working part-time. Being outside in the stillness of a hiking trail is what recharges me. I love staying active and holding on to a motivation to live as healthy of a life that I can live. To me, napping is a very fun activity that I partake in often. I love being in skates. When I was younger I would love going to open skates with top 40's music blaring and still do now. I will never forget the first time I laced up with full gear on feeling more empowered than I ever have before. The work you put in off skates WILL translate and is necessary to get where you want to be. Everything takes time but the feeling of conquering new derby goals always makes it worth it!!! Posted on May 23, 2018 by Blog Manager. When did you start officiating derby? What made you want to become an official? 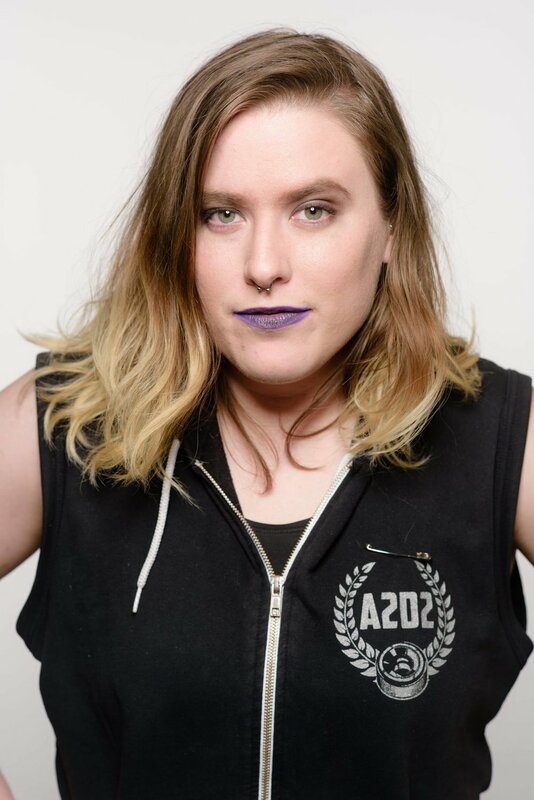 I wanted to be involved in the unique and empowering sport that was roller derby. And at the time (in KY) the only way a male could be involved and skate was officiating. Admittedly, Jam Reffing is usually favorite cause I have to be on point both in positioning, speed, and points but I really enjoy all positions. OPR is great for speed and keeping up with the pack (gotta go fast! ), and IPR is great for exercising your brain; defining the pack, etc. I just love being in a cohesive crew and we're all on point. Elementary school events is the last time I remember skating on quads or blades. I honestly have never or was any good at skating before derby, I even remember not liking skating as a kid cause I wasn't good at it but still having fun when I did. 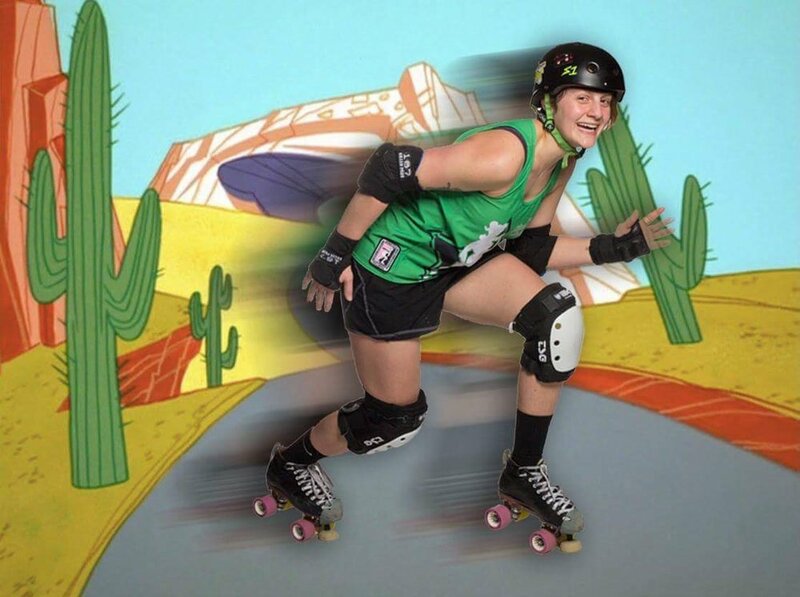 I wanted to do something more athletic and unique in college as well as find a social outlet/community and roller derby was perfect for that. I pushed myself to learn the skills to become a skating official in about 8 weeks. I remember hitting walls in that time but breaking it down into chunks; letting myself fall/fail forward until I nailed it. And I'm glad I did because roller derby is my life now, it's the best thing to have ever happened to me. What do you do outside of derby to make derby better for yourself? What other hobbies do you have? I go to or watch tournaments of high-level certified officials like Tootie, Major Wood, Professor Murder, Judge Knot, etc. I watch how they officiate, communicate to skaters, NSOs, and each other. I watch their hand signals, points, skating styles and try to take notes on how I can apply that to my officiating, be like the pros. I want to make my idols my colleagues and eventually, some of them are to this day. I feel really lucky and hope to continue improving my skills. 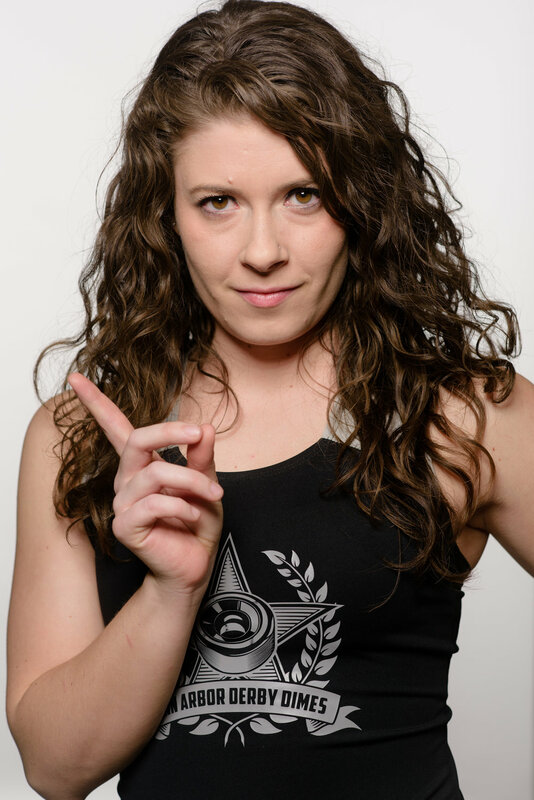 My next step is to officiate a WFTDA playoff tournament some day. I like to apply the skills I learn from every game and from other officials to each game. I always pick up something new each game to remember for the next one and constantly trying to improve. I get in my zen with officiating and that zen has actually helped me as a player for men's derby as well. The rules are the rules and it's just fun to break things down in my mind with impact spectrum, passing of hips for points, pack definition, etc. Do you have any advice for newbie officials? Always try your best every game, practice, and scrimmage. Hold yourself to that WFTDA standard every time you officiate don't be afraid to admit if you don't know something or get a call wrong. Even the high-level officials are learning. It's a process, step by step. Get your skates nailed down, then your positioning, and over time the game will just become clearer and easier to break down. Then you can make those calls with confidence. All calls are reviewable, remember that, be 100%. It's a yes or a no, a maybe is a no-call. It's better to be 100% right on a few calls then 50% uncertain on a dozen more. Penalties are earned, they are not a punishment. Be a calm cool zebra both visually and verbally when you make a call. Lastly, don't be afraid to ask for help, advice, or questions about penalties, position, signals, etc, and be open to feedback, learn from it, apply it game after game. Nobody's perfect, I know I'm not. I'm still asking for clarifications to this day. What kind of official do you want to be? Find mentors who can help you become that official. And in the end, you got this; one jam at a time. Posted on April 25, 2018 by Blog Manager. Jenny Nono. It's a play on my real name. It was used in college as a joke, and when derby people heard it, it just kind of stuck! Will have passed skills 2 years ago on January 31st (2016). In college, i worked at the ice arena on Campus, so I would take advantage of the open skates, but could do nothing more than skate in a circle. I'm a Realtor at Red Barn Realty. Friends, fitness and just the fun of the game. Never stop trying. The more you try and the more hours you put in, the more progress you'll see. Posted on April 18, 2018 by Blog Manager. My wife made me! Lol! JK I like the people and the sport and I wanted to learn something new. What officiating job is your go-to? I try and keep up with all the new changes. I like to experiment with new cooking techniques or recipes. What makes you come back to officiating derby? I just like the people and feeling like my being here helps in some small way. Don't be afraid to just jump in and try. We are all hear to learn and improve. Posted on March 21, 2018 by Blog Manager.